Danish, Finnish, Norwegian and Swedish PEN centres are gravely concerned for the well-being of Iranian human rights lawyer Nasrin Sotoudeh, who was handed over a total 38 years in jail and 148 lashes in national security-related offences. Ms Sotoudeh, an award-winning human rights defender and an Honorary Member of PEN Finland, is known for her role as a defender of rights of women detained for refusing mandatory covering of their hair in public. She was arrested in June 2018 for defending women prosecuted for appearing in public without a headscarf, or hijab. She was charged with spreading propaganda against the state, insulting the country’s supreme leader and spying. We are appalled by the wrongful conviction of Sotoudeh. We condemn the ruling not only as a grave violation of rights of the lawyer in question, but also for the fact that it raises questions on the judicial process itself. The crackdown on dissenting voices in Iran is a direct violation of the principles of International Covenant on Civil and Political Rights, to which Iran is a state party. Lawyers such as Nasrin Sotoudeh are doing priceless human rights work by representing suppressed voices in a time of veiled judicial crackdown on civil society in Iran. She is a symbol of civil courage. The mother of two, she was also arrested in 2010 and handed over a sentence of 11 years of imprisonment in 2011 on similar charges. She was released in 2013 under growing international condemnation. Since the revolution of 1979, Iran’s powerful clergy establishment remained in control of the state. Arrests, tortures and enforced disappearances of dissidents have become a pattern in Iran in recent years. The sentencing of Sotoudeh is a clear manifestation that Iranian judicial machinery, dominated by hardliners, has become an instrument of the ultra-conservative clergy that suppress dissident voices. We, the Nordic PEN centres, stand with Nasrin Sotoudeh’s right to freedom of expression as enshrined in international charters and various global conventions. Put an end to acts of harassment – including at the judicial level – against all human rights defenders in Iran. Conform in any circumstances with the provisions of the Declaration on Human Rights Defenders, adopted on December 9, 1998 by United Nations General Assembly. Use their leverage to press Iranian government to affect changes. Norwegian PEN has been informed that writer and blogger Rashad Ramazanov has been on hunger strike and still is in poor health. We have followed his case for several years, and want to express our serious concern for his well-being. Rashad Ramazanov is one of several Azerbaijani prisoners, activists and opposition figures who went on hunger strike in solidarity with jailed anti-corruption blogger Mehman Huseynov, against whom the Azerbaijani authorities brought new spurious charges in December 2018, just weeks before his scheduled release. Rashad Ramazanov has also been held in prison on politically motivated grounds. He was arrested almost six years ago and sentenced to nine years in prison on fabricated charges of drug possession and drug sale. To keep people in detention on politically motivated charges is against the Azerbaijani authorities’ obligations under Article 10 of the European Convention on Human Rights and Article 19 of the International Covenant on Civil and Political Rights. The Azerbaijani authorities’ attempts to bring new charges against unjustly imprisoned critics in order to detain them longer is a violation of the right to freedom of expression. We call on you to unconditionally release all those arbitrarily detained. Norwegian PEN stand together with PEN International in the call for Rashad Ramazanovs immediate and unconditional release. Pending his release, he should be provided with adequate medical care. A news editor and reporter at the pro-Kurdish Dicle News Agency (DİHA), Nedim Türfent was arrested on 12 May 2016 after covering clashes between the Turkish army and the armed Kurdistan Workers’ Party (PKK) in the predominantly Kurdish southeast of Turkey. Nedim Türfent spent nearly two years in solidarity confinement, during which time he was transferred to several prisons. In a letter addressed to Turkish columnists and dated 8 May 2017, he reported harrowing detention conditions in his four-meter-long prison cell, where he was denied access to TV, radio, books or newspapers and forced to read ‘the back of detergent boxes’ to pass time. He was formally charged with ‘membership of a terrorist organisation’ and ‘spreading terrorist propaganda’ 10 months after his arrest. Despite clear evidence of flagrant fair trial violations, Nedim Türfent was sentenced to eight years and nine months in prison for ‘membership of a terrorist organisation’ and ‘spreading terrorist propaganda’ on 15 December 2017. While waiting for a ruling on his case, Nedim Türfent spends his time studying Turkish, English and German and writing poetry. In an open letter to the Turkish Minister of Justice Abdulhamit Gül, Norwegian PEN’s Writers in Prison Committee urges the Turkish authorities to release Nedim Türfent immediately and unconditionally. I am writing to you on behalf of Norwegian PENs Committee for Writers in Prison. On the 15th of December 2018 it was one year since news editor and reporter, Nedim Türfent, was sentenced to eight years and nine months in prison on trumped-up terrorism charges following an unfair trial, during which scores of witnesses said they had been tortured into testifying against him. Prior to his arrest in 2016, Nedim Türfent was covering Turkish military operations in southeast Turkey. He spent almost two years in solidarity confinement in harrowing detention conditions. His sentence was upheld on the 19th of June 2018 and his lawyers have lodged an appeal before the Constitutional Court. Determined to keep writing, Nedim Türfent started composing poetry while detained. 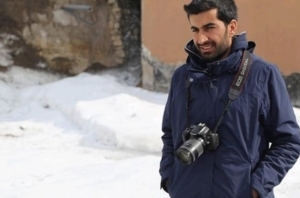 Norwegian PEN believes that Nedim Türfent is being imprisoned solely for the peaceful exercise of his right to freedom of expression and calls for his immediate and unconditional release. We are also calling on the Turkish authorities to end the prosecution and detention of journalists simply on the basis of the content of their writing or alleged affiliations, and to immediately release all those held in prison for exercising their rights to freedom of opinion and expression. 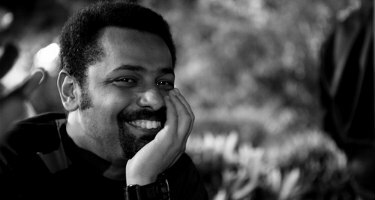 Egyptian blogger and political activist Wael Abbas has been detained on charges connected to terrorist activities and spreading false news. Norwegian PEN believes that the charges against Abbas’ are related to his peaceful activism and writings critical of the Egyptian government. Norwegian PEN is deeply concerned about the detention of the blogger and political activist Wael Abbas, who has been arbitrary detained since his arrest on 24 May 2018. Abbas has been accused of “joining a terrorist group in realizing its objectives”, “spreading false news damaging public security and public interest” and using social media to spread ideas inciting to commit terrorist acts”. According to reports, Abbas’s file has been included in the judicial case No. 441 of 2018, which also includes journalists and activists such as Mostafa al-Asar, Hassan al-Banna and Ezzat Ghoneim who is a lawyer and the head of the Egyptian Coordination for Rights and Freedoms. 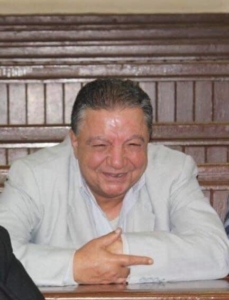 Abbas remains detained at Tora prison pending the investigation. PEN International believes that the charges against Abbas’ are related to his peaceful activism and writings critical of the Egyptian government. Norwegian PEN will call for his immediate and unconditional release and for all charges against him to be dropped. We ask Egyptian authorities to ensure that the right to freedom of expression in Egypt is fully respected in law and practice in accordance with the Egyptian Constitution and Article 19 of the International Covenant on Civil and Political Rights, to which Egypt is a state party. The Norwegian Writers in Prison Committee is expressing serious concern about the arrest and enforced disappearance of Yemeni writer and social media activist Marwan Almuraisy, who was arrested at his home in Riyadh by Saudi National Security agents on the 1th of June 2018. It is not known where he is being detained. To date, Almuraisy’s family have been denied information about the charges against him, the location where he is being held and are unable to visit him. We are deeply concerned about Almuraisy’s safety and physical well-being and believes that his arrest is solely related to the peaceful exercise of his right to freedom of expression. We call on the Saudi authorities to immediately release Marwan Almuraisy. At the very least, we urge them to disclose Almuraisy’s whereabouts, the reason for his detention, and to respect his rights as a detainee to legal representation, family visits and medical care. 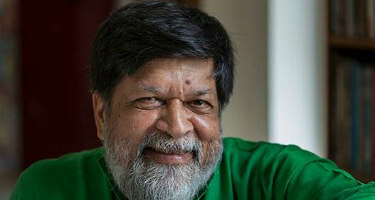 We also call for the immediate and unconditional release of all other writers currently detained in Saudi Arabia in connection with the peaceful exercise of their right to freedom of expression and assembly, in accordance to international standards including the Universal Declaration of Human Rights. Ukrainian filmmaker and writer Oleg Sentsov, who has been on hunger strike since 14 May 2018, is reportedly in a critical condition. According to his lawyer, who visited him in prison on 7 August 2018, Oleg Sentsov has a low haemoglobin level, resulting in anaemia and a slow heartbeat, and has lost 30 kilogrammes. He is refusing to be transferred to a civilian hospital as he is too weak to stand and says that medical staff there have previously been hostile towards him. Best known for his 2011 film Gamer, Oleg Sentsov was arrested four years ago and sentenced to 20 years in prison on 25 August 2015 on spurious terrorism charges after a grossly unfair trial by a Russian military court, marred by allegations of torture. PEN International fears that he was imprisoned for his opposition to Russia’s annexation of Crimea. In a statement shared by his lawyer, Oleg Sentsov has declared an ‘indefinite hunger strike’ and that ‘the sole condition for its cessation is the release of all Ukrainian political prisoners located in the territory of the Russian Federation’. The Norwegian Writers in Prison Committee is expressing serious concern for the health of filmmaker Oleg Sentsov. He was arrested four years ago and sentenced to 20 years in prison on spurious terrorism charges after a trial by a Russian military court, marred by allegations of torture. International opinion fears that he was imprisoned for his opposition to Russia’s actions in Crimea. Oleg Sentsov has been on hunger strike since 14th of May 2018. In a statement shared by his lawyer, Oleg Sentsov declared an ‘indefinite hunger strike’ and that ‘the sole condition for its cessation is the release of all Ukrainian political prisoners located in the territory of the Russian Federation’. The United Nations Standard Minimum Rules for the Treatment of Prisoners (the Mandela Rules) explicitly states that prisoners should be allowed to correspond in writing with family and friends at regular intervals. Under Russian legislation, there is usually no limit to the number of letters prisoners may send or receive but correspondence needs be in Russian. The prison authorities are obliged to deliver letters with the minimum of delay. All correspondence is checked and read. We are calling for Oleg Sentsov’s immediate and unconditional release if, as is feared, he is being persecuted for his legitimate professional activities and peaceful exercise of his right to free expression. Accused of terrorism, writer and filmmaker Oleg Sentsov has been sentenced to 20 years imprisonment. He has not had a fair trial and it is believed he has been subjected to torture. PEN International and The Norwegian Writers in Prison Committee hereby urge you to release writer and filmmaker Oleg Sentsov from prison immediately. Oleg Sentsov was arrested and sentenced to 20 years in prison by a Russian military court, accused of terrorism. We fear that Sentsov was imprisoned for his opposition to Russia’s occupation of Crimea. Should there in fact be grounds for prosecution, these should be heard by a civil court under Ukrainian law. Sentsov has been on a hunger strike since May 14th 2018 and we have reason to believe that he has been subjected to torture. 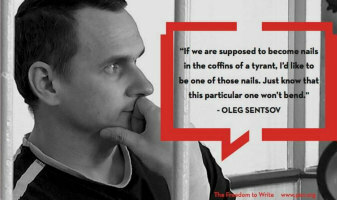 PEN International and The Norwegian Writers in Prison Committee strongly urge you to respect Oleg Sentsov’s human rights, including his right to a fair trial, the prohibition of torture and inhuman or degrading treatment as it pertains to hunger strike and his right to medical attention. We also call upon Russian authorities to return all Ukrainian nationals arrested in Crimea and now held in Russia to Ukraine, and free all held solely for the peaceful exercise of their right to freedom of expression. ya sha’abi, qawimhum (Resist, my people, resist them)’. PEN has carefully reviewed the charge sheet and the evidence against Tatour, and has concluded that she has been targeted for her poetry and peaceful activism. Consequently, it continues to call for her immediate release and for the charges against her to be dropped. Today, on World Poetry Day, our thoughts are with the ongoing house arrest and prosecution of Palestinian poet Dareen Tatour. Tatour has been charged with incitement to violence and solidarity with acts of violence, following publications of her work on Facebook and YouTube. In a poem, Tatour denounces violations committed by the Israeli authorities against Palestinians, and incites them to resist the Israeli occupation; but she does not call for violence. Peacefully exercising the right to free expression is not a crime. PEN International has carefully reviewed the charge sheet and the evidence against Tatour, and has concluded that she has been targeted for her poetry and peaceful activism. Consequently, it continues to call for her immediate release and for the charges against her to be dropped. Together with our PEN colleagues worldwide we call for the immediate and unconditional release of Dareen Tatour from her house arrest.